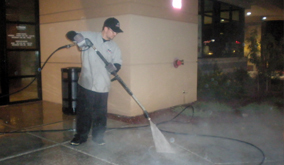 Increase the intensity of your cleaning program with AZ Power Wash Pros pressure washing services. We are there to guide you about maintaining the property efficiently. You can contact us and efficiently wash, sweep or clean both residential and commercial properties in Gilbert, Arizona. Live in a clean and healthy area. 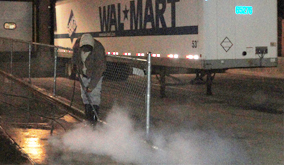 Contact us to enjoy the facilities like pressure washing and steam cleaning. We specialize in areas like, residential cleaning, industrial cleaning and commercial cleaning services in Gilbert. Our staff is specially trained to maintain the property efficiently. 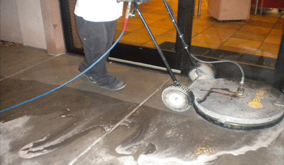 The pressure washing services are specially included to clean the Gilbert metro area. Our aim is to offer quality services to our clients residing in the city of Gilbert. In short, team AZ Power Wash Pros services offers assistance in power washing and pressure washing at an affordable rate. We are proud to announce the quality of services offered by our team of professionals is matched by no other power washing company in the Gilbert area. We offer maintenance programs to our commercial customers that includes cleaning key areas of a building, such as, parking lots, windows, restrooms, washing the building and offering sanitization services. So get the best of cleaning services in Gilbert by contacting us today for your pressure washing services. Select our services on a regular basis and receive special discounts on the pricing. Those who have contracted with us for weekly or monthly cleaning services can enjoy the services at a discounted rate. The best part about our services is that the techniques implemented by our pressure washing company are environmentally friendly. We work with Eco-friendly products. All detergents used in the cleaning activity are not harmful. We take extra care before using detergents or ingredients while offering power washing services. 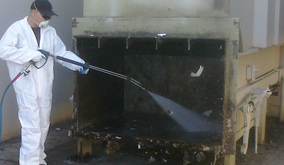 Our staffs are specially trained to work only in environmental cleaning process. 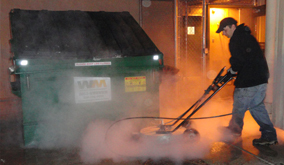 They are efficient at cleaning your property without causing any harm to the appearance or material of the building. Concrete cleaning is not an easy task. 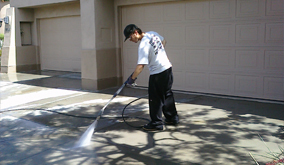 But with AZ Power Wash Pros services such immense tasks becomes simple and easy. In Gilbert we are known for offering premium concrete cleaning services with the help of unique techniques like pressure washing and low pressure steam cleaning. Stop hesitating. It’s time now to take a step towards residing in a clean and healthy environment. You have to simply contact us and get the areas cleaned by professionals. Call AZ Power Wash Pros for a free pressure washing quote to your Gilbert property today!